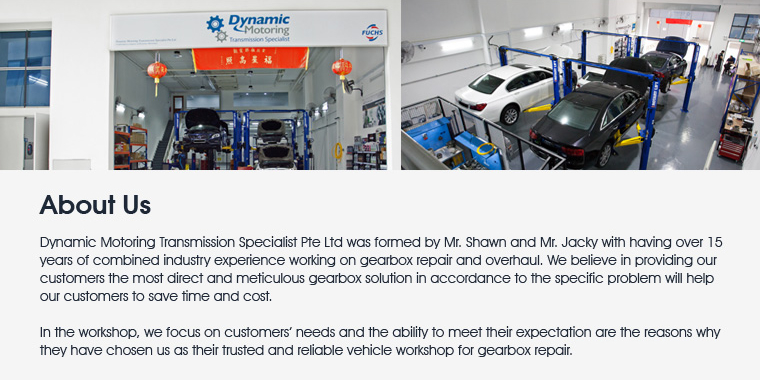 DMTS' team of specialists have over 15 years of combined industry experience working on gearbox repair and overhaul. 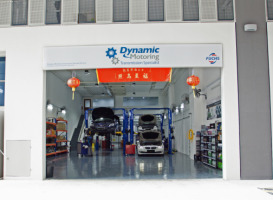 Equipped with a wide and in-depth knowledge on different types of the transmission system and models, they are able to implement a rigorous and stringent process to solve any gearbox issues. 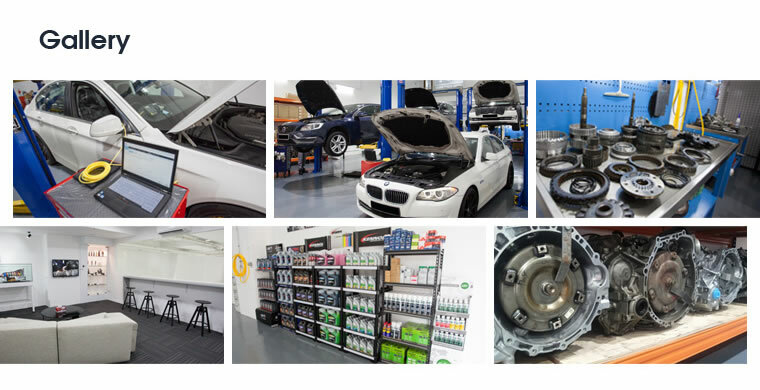 Their professional transmission specialists are also constantly trained and updated on the latest developments in the auto transmission industry. My Audi A3 is 20 years old and may the only one of this age still cruising around in Singapore ... Thanks to Jackie and his team. 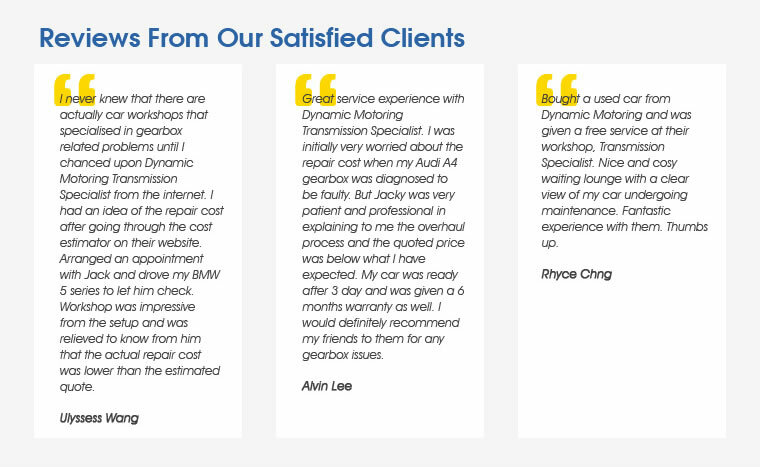 Their customer service is very good and is pleasant to deal with them. Probably one of the most trustworthy workshop around. Price is as per quoted and is at the lower range as compare to other that approach to rectify the leaking issue.